Plakias is a friendly charismatic village that is located along the southern coast of the island of Crete. An area that is recognized as one of the most popular holiday destinations of Greece and Europe for locals and travelers alike, pristine Plakias hotels add to the magical feel of this exquisite island. A breathtaking background of crystal clear turquoise-blue waters, nearby is a sand and pebble beach that gently traces the crescent shaped bay beneath the Plakias Bay hotel. Throughout the year, the charming appeal of Plakias and its exquisite Plakias hotels are enjoyed by visitors, sightseers, scuba divers, snorkelers, swimmers and sunbathers, many frequenting the island of Crete in Greece on an annual basis. Recognized as the largest of the Greek Islands in the beautiful Mediterranean Sea, Crete is a fabulous island that is not only home to the much admired Plakias hotels but also provides excellent roads for day trips from Plakias to some of Crete’s traditional villages or big towns, or enjoying places like the Kourtaliotiko Gorge for quality photograph, the Rethymnon castle, the Knight ghosts of Frangokastello, 45-hair pin bends on the road to Chora Sfakion – traveled by many inquisitive goats, bridge at Eligia Gorge, the Turkish bazaar and archaeological sites of Matala. 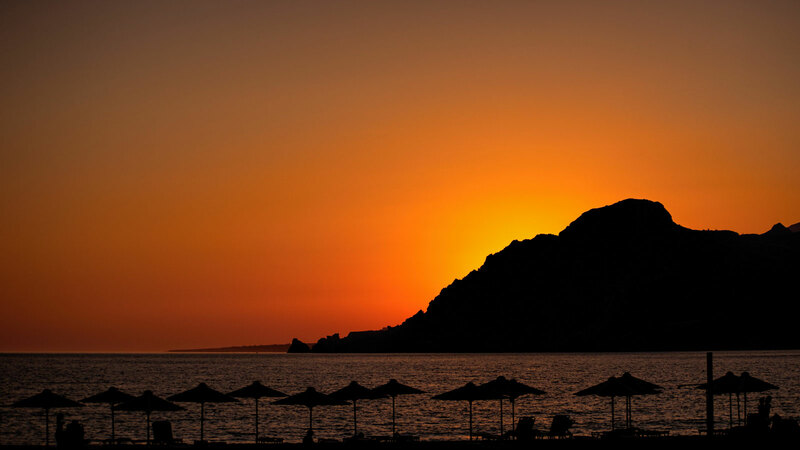 At the end of an exciting sightseeing day, getting back to the well-renowned Plakias hotels – recognized for their outstanding hospitality services and quality accommodations – definitely can become a high priority. Plakias willingly shares their natural surroundings and local activities with their visitors, an area which encompasses the entire south end of Crete. Staying in one of the many superb Plakias hotels on the southern part of the island offers the luxury of being within one travel day of every fabulous event and activity within this popular Cretan island. Plakias is 90km from Chania, location of the nearest airport entering the area. The island has also built a national road recently, the Chania-Rethymnon-Heraklion Road which connects Plakias to the main cities of the island. Once a budding small fishing settlement, the village of Plakias is now a fascinating tourist resort filled with the wonders of natural beauty – mountains, caves, beaches, footpaths, and olive groves – and several Plakias hotels to offer travelers the comforts of home. What makes Plakias so popular, in addition to the Plakias hotels, are the friendly locals and fishermen who make up the island’s ambiance. Speaking fluent English, Plakias has everything to offer its visiting tourist – a pharmacy, supermarket, jewelry shop, Medical Center, boutique, restaurants, shops, taverns, and a Police Department. A unique place to visit, Plakias hotels and the village of Plakias are half an hour away from a scenic wonderland that is famous for its solicitude within an isle of tranquility. The Plakias Bay hotel situated at the end of the beach 600m away from the centre of Plakias offers a relaxing view to the endless blue of the sea and the surrounding mountain villages.